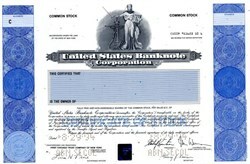 Beautifully engraved Specimen certificate from the United States Banknote Corporation printed in 1994. 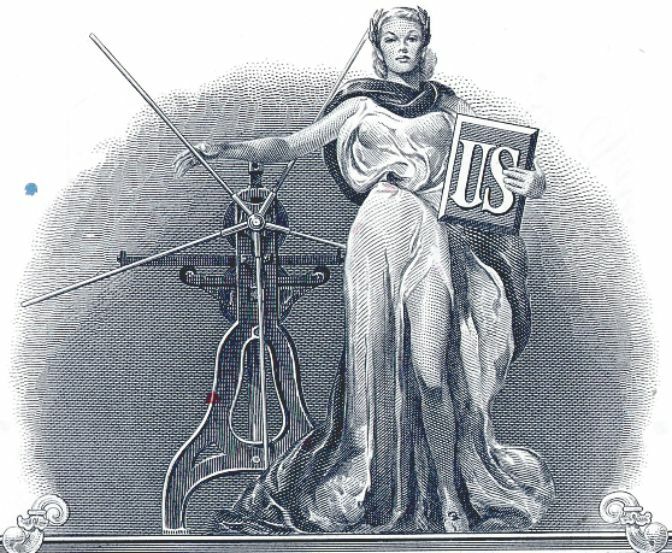 This historic document was printed by the Security-Columbian, United States Banknote Company, American Banknote Company and has an ornate border around it with a vignette of a Grecian woman holding a plaque with the letters "US" on it, and a piece of nineteenth-century machinery by her side. Holagram on bottom. This item has the printed signatures of the Company�s President, Secretary, Chairman and Chief Executive Officer and is over 86 years old.